Few large SUVs can match the utility of the 2017 Honda Pilot. Versatile folding second and third row seats provide plenty of cargo room for larger items, and its third row is large enough to fit adults comfortably. For 2017, Honda has pulled out all the stops in safety. From the affordable LX to the well-appointed Elite model, you’ll find modern, expertly designed safety features that will keep your family protected. Find out more in this guide from Brilliance Honda of Crystal Lake. With a three-row SUV, it’s critical to be able to see behind the vehicle. This rearview camera makes parallel parking in Elgin simple. Offering increased visibility during the day, the EX trim level and above upgrade this feature with bright LED lights. Make flat tires a thing of the past. If a tire is over or underinflated, this helpful system lets you know. Available in the luxurious Elite trim level, these high-beam headlights automatically switch to low-beams when traffic is present. For more safety and confident driving, consider adding the Honda Sensing Package. It comes standard with the Touring and Elite trim levels and can be added to the EX and EX-L models. Collision prevention braking, road departure prevention, lane departure warning, and more are all included. With adaptive cruise control, you can set a following distance behind the vehicle ahead of you and relax. The Pilot will speed up and slow down automatically with the flow of traffic. In addition, the EX, EX-L, and Touring trim levels include Honda LaneWatch. This advanced feature monitors your blind spot and alerts you if it’s occupied. If you’re spending much time on the busy streets of Crystal Lake, it’s worth adding the Honda Sensing Package for increased peace of mind. Continuing Honda’s heritage of advanced engineering and design, the 2017 Honda Pilot will work to keep your family safe. 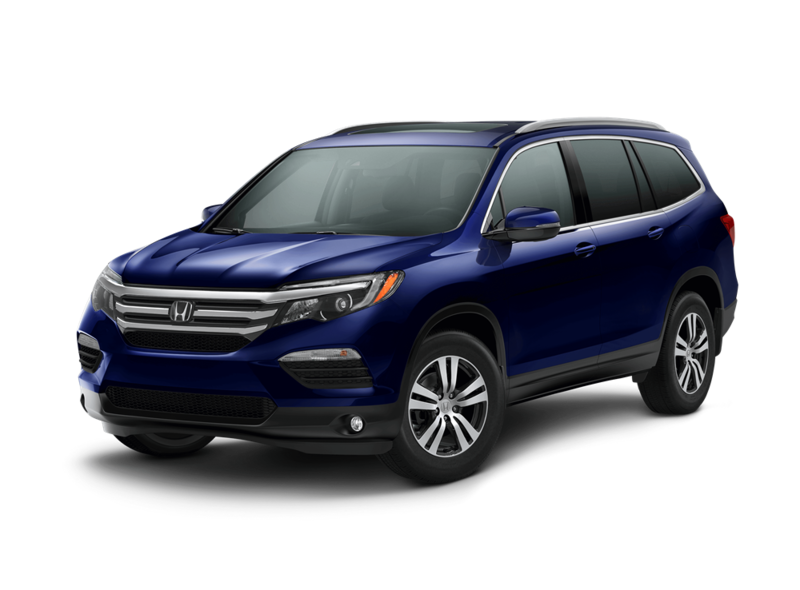 Stop by Brilliance Honda of Crystal Lake today to see this modern SUV in person. Our showroom is located at 680 W. Terra Cotta Ave., and you can apply for financing online for quick preapproval. Schedule a test drive to reserve your spot at the wheel of the 2017 Pilot!